Dwight Lyman Moody, more commonly known as D.L. Moody was born to a farmer’s family in 1837. He only attended school until grade 5 and left the busy farm life at age 17. In Boston his uncle hired him as a shoe salesman, but he could only keep his job if he attended church regularly. He had high hopes of earning great money in shoe sales. His Sunday school teacher visited him at his Uncle’s store where he led D.L. to Christ. Soon he moved to Chicago in pursuit of that shoe sales career. It was there that he was called to ministry through the YMCA where his desire was to begin a Sunday school for the children. He is known for his work with the youth of the city in his Mission Sunday school. In 1864 he founded and pastored the Illinois Street Church, now known as The Moody Church. He expanded into more evangelist ministries, including a great Civil War outreach to both Union and Confederate troops. D.L. Moody was a great leader and trainer of missionaries in America. Long after his death in 1899 his ministry continues through the Moody Bible Institute. He was not a man of few words. The Lord gave him great speech and his quotes are repeated by many even today. Here are my favorite top 40 D.L. Moody quotes. There’s no better book with which to defend the Bible than the Bible itself. This book (the Bible) will keep you from sin or sin will keep you from this book. I prayed for faith and thought that some day faith would come down and strike me like lightning. But faith did not seem to come. One day I read in the tenth chapter of Romans, “Faith cometh by hearing, and hearing by the Word of God.” I had up to this time closed my Bible and prayed for faith. I now opened my Bible and began to study, and faith has been growing ever since. One thing I have noticed in studying the Word of God, and that is, when a man is filled with the Spirit he deals largely with the Word of God, whereas the man who is filled with his own Ideas refers rarely to the Word of God. He gets along without it, and you seldom see it mentioned in his discourses. Let us have one day exclusively to study and read the Word of God. If we can’t take time during the week, we will have Sunday uninterrupted. If I take care of my character, my reputation will take care of me. Oh, young man, character is worth more than money, character is worth more than anything else in this wide world. A man can no more take in a supply of grace for the future than he can eat enough for the next six months, or take sufficient air into his lungs at one time to sustain life for a week. We must draw upon God’s boundless store of grace from day to day as we need it. Faith takes God without any ifs. But, a man said to me, no one has come back, and we don’t know what is in the future. It is all dark, and how can we be sure? Thank God! Christ came down from heaven, and I would rather have Him coming as he does right from the bosom of the Father, than any one else. We can rely on what Christ says, and He says, ‘He that believeth on Me shall not perish, but have everlasting life.’ Not that we are going to have it when we die, but right here to-day. 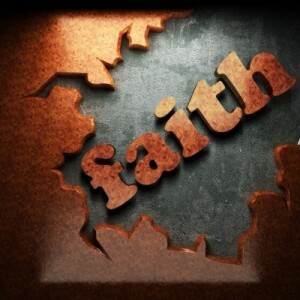 Real true faith is man’s weakness leaning on God’s strength. There are three kinds of faith in Christ: 1. Struggling faith, like a man in deep water desperately swimming. 2. Clinging faith, like a man hanging to the side of a boat. 3. Resting faith, like a man safely within the boat (and able to reach out with a hand to help someone else get in). Faith is the foundation of all society. We have only to look around and see this. The law tells me how crooked I am. Grace comes along and straightens me out. We must not limit the mighty grace of God. Grace means undeserved kindness. It is the gift of God to man the moment he sees he is unworthy of God’s favor. The Bible without the Holy Spirit is a sundial by moonlight. There is no better evangelist in the world than the Holy Spirit. God commands us to be filled with the Spirit, and if we are not filled, it is because we are living beneath our privileges. If we are full of pride and conceit and ambition and self-seeking and pleasure and the world, there is no room for the Spirit of God, and I believe many a man is praying to God to fill him when he is full already with something else. Some people think God does not like to be troubled with our constant coming and asking. The way to trouble God is not to come at all. Work as if everything depended on you and pray as if everything depended on God. Every one of our children will be brought into the ark, if we pray and work earnestly for them. Prayer is a serious thing. We may be taken at our words. I firmly believe a great many prayers are not answered because we are not willing to forgive someone. A man who prays much in private will make short prayers in public. I believe hundreds of Christian people are being deceived by Satan now on this point, that they have not got the assurance of salvation just because they are not willing to take God at His word. It is our privilege to know that we are saved. I tell you whenever a man stands by God, God will stand by him. I would rather a thousand times be five minutes at the feet of Christ than listen a lifetime to all the wise men in the world. The preaching that this world needs most is the sermons in shoes that are walking with Jesus Christ. If He laid down His life for us, is it not the least we can do to lay down ours for Him? If He bore the cross and died on it for me, ought I not to be willing to take it up for Him? Shame on the Christianity of the nineteenth century; it’s a weak and sickly thing. Would to God we had a few men like Daniel living here today. A man ought to live so that everybody knows he is a Christian… and most of all, his family ought to know. There is no man living that can do the work that God has got for me to do. No one can do it but myself. And if the work ain’t done we will have to answer for it when we stand before God’s bar. Pamela Rose Williams is a wife, mother and grandmother. She and her husband, Dr. Michael L. Williams, have served in Christian ministry since 2001. She has a Bachelor’s Degree in Christian Education and spends most of her time as a professional editor and writer, working with many Christian authors and artists. Additionally, she works with her husband using their extensive experience in information technology to provide Christ-centered teaching and resources to people all over the world. Learn more about Pamela at Christianity Every Day. Pamela Rose has written 407 articles on What Christians Want To Know! Read them in the archive below. Pam, D.L. Moody is one of my favorites of all time.. I remember reading about how this man made it his goal to witness to at least 1 person each day in his life. It was nearing midnight one when he just realized that he had not done so, so he got up, quickly dressed, and went out into the streets to find one man who was leaning on a light pole and the man because so outraged that he went to complain to the church about Moody….this same man later became one of his most effective Sunday school teachers and soul-winners. Thanks Pam for this great work on a great man of God. Love that Jack, thanks for sharing this piece of history! D.L. Moody was one of the most dedicated evangelists I have ever studied, even in his death he was preaching to people and when they found him he was kneeling by his bed side Bible in hand and had simply gone home to receive his reward. What a blessing! Neat story Jack!….and thank you for the quotes Pam~! JUST TODAY I SAW SOME CRITERIA WHERE IT WAS ASKED THAT A MOTHER AND DAD WOULD GO TO CHURCH AND TAKE THEIR CHILDREN TO CHURCH . I KNOW THAT A PERSON CAN BE BORN AGAIN WITHOUT GOING TO CHURCH , AND OTHER THINGS AS IT WAS WITH THE THIEF ON THE CROSS THAT ASKED JESUS TO REMEMBER HIM , A LADY WITH THE BLOOD FLOW PROBLEM THAT TOUCHED THE THE GARMENT CHRIST WORE MAY NOT HAVE BEEN ABLE TO ATTEND CHURCH , THERE ARE SO MANY REASONS , PERHAPS TOO AS A PERSON WHO NEVER IN THEIR PART OF THE WORLD EVER HEARD OF JESUS , I SEE WHERE ALL THESE THINGS COULD MAKE A PERSON UNABLE TO ATTEND CHURCH OR HAVE A CHURCH TO EVEN ATTEND . WITH ALL THIS SAID I ONCE HEARD A PREACHER SAY HE MET A FELLOW THAT SAID HE WOULD ATTEND THE CHURCH , BUT THERE WERE SO MANY HIPPOCRITS THERE , AND THE PREACHER SAID OH COME ON A FEW MORE WANT HURT . I HEAR MANY PREACHERS MAKE THE STATEMENT TO GIVE IF YOU CAN , BUT BETTER GET INVOLVED IN A CHURCH AND WORSHIP . TO HAVE OTHERS YOU CAN PRAY AND WORSHIP WITH AS IS THIS OPPORTUNITY TO WRITE HERE AND ASK OTHERS TO JOIN YOU IN PRAYER FOR A PROBLEM IS SUCH A BLESSING . I HAVE BEEN IN CHURCH AND HAVE FELT THE HOLY SPIRIT ALSO , AND THE FEELING IS GREAT ! I FIND MYSELF GUILTY OF MANY SINS , I SEE OTHERS AND I NOTICE THE TWIG IN THEIR EYE AND MISS THE BEAM IN MY OWN . I WILL EVER AS LONG AS I LIVE NEED TO SEE THAT I AM A SINNER SAVED BY HIS MARVELOUS GRACE , JESUS TAKE MY PRAYER UNTO THE FATHER , AND I ASK THAT YOU BLESS MY FAMILY , FRIENDS , AND MY ENEMIES , AND LORD BLESS ME AND KEEP ME TOO OH LORD , IN JESUS NAME I PRAY , AMEN ……. May the Lord encourage you as all believers are the ‘temple’ of the Lord. The church is ‘spiritual’ …the Body of Christ found wherever one who loves and follows Him in truth is. Being in the company and fellowship of likeminded believers on the Word is edifying and wonderfully encouraging to walk in the truth. I thank God for the provision of fellowship every day as He provides. May you be fully supplied according to His righteousness in this area. In the meantime may I offer you this …. 7 Rooted and built up in him, and stablished in the faith, as ye have been taught, abounding therein with thanksgiving. 8 Beware lest any man spoil you through philosophy and vain deceit, after the tradition of men, after the rudiments of the world, and not after Christ. 9 For in him dwelleth all the fulness of the Godhead bodily. 12 Buried with him in baptism, wherein also ye are risen with him through the faith of the operation of God, who hath raised him from the dead. 15 And having spoiled principalities and powers, he made a shew of them openly, triumphing over them in it. 17 Which are a shadow of things to come; but the body is of Christ. 22 Which all are to perish with the using;) after the commandments and doctrines of men? 23 Which things have indeed a shew of wisdom in will worship, and humility, and neglecting of the body: not in any honour to the satisfying of the flesh. God is at work in those who trust in Him and obey His word, building their faith within through His Spirit /Word. HE builds His own church. Jhn 6:29	Jesus answered and said unto them, ThIS is the work OF GOD, that ye believe on him whom he hath sent. and I WILL BUILD him a sure house; and he shall walk before mine anointed for ever. Mat 16:18	And I say also unto thee, That thou art Peter, and upon this rock I will build my church; and the gates of hell shall not prevail against it. This scripture has been said by some that it was Peter who was being said to ‘build ‘ the church…but the distinction is of course that Peter whose name was petros ‘ or like sand …would blow too and fro. It is JESUS CHRIST who BUILDS His church for HE IS THE ROCK [petra]….HE is the chief cornerstone….the Foundation being the apostles and prophets. Eph 2:22	In whom ye also are BUILDED TOGETHER for an habitation of God THROUGH the Spirit. 1Cr 3:16	Know ye not that YE ARE THE TEMPLE of God, and [that] the Spirit of God dwelleth in you? 1Cr 6:19	What? know ye not that your body is the temple of the Holy Ghost [which is] in you, which ye have of God, and ye are not your own? 2Cr 5:1	For we know that if our earthly house of [this] tabernacle were dissolved, we have a building of God, an house not made with hands, eternal in the heavens. Hbr 8:2	A minister of the sanctuary, and of the true tabernacle, which the Lord pitched, and NOT MAN. Psa 133:1	[[A Song of degrees of David.]] Behold, how good and how pleasant [it is] for brethren to dwell together in unity! Jhn 4:24	God [is] a Spirit: and they that worship him must worship [him] in spirit and in truth. To LIVE by the Word IS true worship. A life which is a praise. Jhn 4:23	But the hour cometh, and now is, when the true worshippers shall worship the Father in spirit and in truth: for THE FATHER SEEKETH SUCH TO WORSHIP HIM. Psa 51:6	Behold, thou desirest TRUTH IN THE INWARD PARTS: and in the hidden [part] thou shalt make me to know wisdom. Psa 51:7	Purge me with hyssop, and I shall be clean: wash me, and I shall be whiter than snow. It is sweet to find fellowship among those who love the Lord…gathered at the throne of grace! Hbr 4:16	Let us therefore come boldly unto the throne of grace, that we may obtain mercy, and find grace to help in time of need. Mat 18:20	For where two or three are gathered together in my name, there am I in the midst of them. It is so great that you love the Lord so much!! Continue in His love ! 1Pe 2:6	Wherefore also it is contained in the scripture, Behold, I lay in Sion a chief corner stone, elect, precious: and he that believeth on him shall not be confounded. I LOVE TO LISTEN TO ERWIN LUTZER AT THE MOODY CHURCH , I LIKE WHAT I HEARD A PERSON ONCE SAY , THE FELLOW WHO SPOKE WITH D.L. MOODY FELT MUCH A PART OFALL THOSE FOLKS THAT WERE LED TO CHRIST THAT D.L. MOODY WAS ABLE TO SPEAK WITH DURING HIS LIFE , WE NEVER KNOW THAT THAT ONE PERSON WE WITNESS TO CAN GO ON TO DO EVEN MORE THAN WE WOULD HAVE DREAMED OF , I SAW I MADE A TYPE ERROR ABOVE , I HAVE HEARD MANY ON PROGRAMS THAT SAY THANK-YOU FOR YOUR HELP TO US BUT WE ENCOURAGE YOU TO BE A PART OF A CHURCH IN YOUR AREA , THAT IS SUCH A FAITHFUL AND GOOD WAY TO SEE THIS THAT WAY , I LIKED THE VERSES GIVEN JUST ABOVE BY ANOTHER , I REMEMBER MY MOTHER SHOWING US WHEN CHILDREN HOW TO HOLD OUR HANDS AND SAY HERE’S THE CHURCH , HERE’S THE STEEPLE , OPEN THE DOOR AND THERE’S ALL THE PEOPLE . THE VERSE ABOVE FROM COLLOSIANS 26:8 REALLY SPEAKS TO ME ABOUT OUR WORLD NOW , SEEMS WE HAVE GOTTEN AWAY FROM THAT GIVE ME THAT OLD TIME RELIGION , WE THINK WE HAVE TO GO ALONG WITH THIS WORLD , OH FORBID IT BE THAT WE WOULD SAY SOMETHING WRONG IN THE WORK PLACE OR ASK IN JESUS NAME AND THIS GO AGAINST THEIR BELIEF , WE HAVE TO TAKE CHANCES AND SPEAK THE TRUTH OR FIND WAYS TO SPREAD THE ” GOOD NEWS ” OR DO WE ?? , IT IS WHAT WE ARE TO DO ACCORDING TO HIS WORD TO GO IN HIS NAME …. I HEAR A WELL KNOWN PERSON ON T.V. SAY DAILY TELL ME THE TRUTH , I CAN’T HELP ANYONE IF WE DON’T GET TO THE TRUTH , WELL THE TRUTH IS IN GOD’S WORD ………. A darling ‘activity’ which keeps children occupied and thinking about the church. Keeping oneself fortified in the Word daily and then opening our mouth as God brings it to mind in whatever situation without fear is a great way to grow in the knowledge of the truth and to expose people to the Word. We are in the midst of the world …the ‘fire’ which burns the chaff from our own lives as we walk …and are buffeted yet as with Daniel ‘s friends the ‘fourth man’ in the midst of the fire was WITH them in it and through it ….They came out without even the smell of smoke on them! We testify with the TESTIMONY Of the LORD which is His Word so that they are without excuse who are the hearers. It is not our sharing but THAT we share of what His Word says …and then HOW the hearers hear. Look at Stephan….his testimony has been shared down through the ages…He was not received well …yet the testimony of his speaking without fear of men is with us yet. It has been said ‘ The fear of man bringeth a snare’ I feel this is both the fears what we have that seem to ‘freeze ‘ us in situations but more than this it is the fear OF others….it snares them and us as it allows the darkness to determine what is offered from God’s word. We have the authority of the Lord who has led captivity captive and gave gifts unto men which gifts are the Word , which is truth …and the HOLY SPIRIT which empowers us as we exercise the freedom to speak . NO human or principality may overcome this Word of His testimony that we have as our own. No matter where we are we are at His Service and thus we gain courage to keep on learning as we do so. In many instances I have found that in speaking whatever has come up from the Word in my mind to others I have then been asked a question by someone that led to more study…ALL exposures of the Word in any company is useful for this despite the response or rejection of those who are priviledged to hear. Once I told the Lord that I was not going to seek knowledge of WHO would receive and believe because I was concerned I might become puffed up as some in a ministry I once was involved in were seeming to be. I rejoice of course to hear of someone receiving the truth and believing but many were bragging how THEY “GOT ” someone “INTO THE WORD”! How joyful it is to be able to observe someone come to Christ but their ‘joy’ seemed to be about ‘how many ‘ THEY had brought to the Lord and among them there seemed to be a lot of competition. I love that people come to Christ …but more that they CONTINUE in the Gospel rather than taking up a ‘position’ or ‘title ‘ in an organization ..seeking rewards and acclaim as some have been prone to do. I observed that as this kind of thing grew the abuses of ‘hierarchy ‘ also began to overtake the community. Soon every type of sinful behavior began to surface. It grieves me and it grieved many who were once enjoying the fellowship. It is good to share and keep on sharing and to continue to seek out things we then become aware of or have questions about in the Word …eventually we are brought to see and understand. Every now and then I would hear of someone from the DISTANT past who became a believer . Someone who at one time reviled or mocked me when I shared the Word . It is amazing to me . In our marriage my own husband who spent a good deal of our marriage [33 years] sinning against the Lord he once claimed …and neglecting and violating his marriage vows ..used to rail upon me for sharing the Word ..saying He did not want me to speak to people about my faith. The faith HE ONCE claimed. HE cared more for the affections and admiration of others. It is good that as the years went by that we would hear of some of those who became not just believers but actively those sharing the Gospel with others and walking in truth! He still resists the Word but he has had to see that the Word always brings forth what God has for people when they receive it with meekness and follow Him unafraid…or maybe even with some nerves but still faithful to do what HE has said for us to do. No amount of ‘stage fright’ in the face of the ones who need to hear the truth of the Word is worthy to keep them from their opportunity to hear the Gospel of the Kingdom. It is interesting that some of those who my husband was so concerned about their thinking well of him have actually become ardent believers. His own choices however which he was told were so harmful have indeed proven to be so …even now though he sees this to be true he continues to resist the Word of GOD. It is true that sin blinds people and lust stops their ears. Yet I continue to cast my care upon the Lord for He cares for me ….and I pray that my husband will be delivered of his present state of unyielding to all the blessings that we have observed and partaken in because of the grace and mercy in our lives. Thank you for your prayers for you sound fervent and faithful in your zeal to love the Lord with all your heart, all your soul , all your mind and all your strength which is foundational to our walk and our relationship with the Lord. Glory to His Name which is above every name that is named! I think i have that problem Peter may have had about trying to say something all the time , I am just excited about Jesus , I hope that is what it is all the time anyway , I want to learn more and love to hear from others like you all , thanks so much !! Nicholas…..you don’t have a “problem” as far as this goes….Here is where we can speak ‘to the choir ‘ and it is heard and appreciated…SAY ON! It is refreshing ….we don’t find this in the world do we! And you just did it for me too! God bless you my brother! Have a great evening as you go being a blessing where you are . You …”BEING to the praise of His Glory”!Right there where you work! What a praise this is ! Eph 1:12 That we should be to the praise of his glory, who first trusted in Christ. Eph 1:2 Grace [be] to you, and peace, from God our Father, and [from] the Lord Jesus Christ. Eph 1:6 To the praise of the glory of his grace, wherein he hath made us accepted in the beloved. Eph 1:14 Which is the earnest of our inheritance until the redemption of the purchased possession, unto the praise of his glory. Without going into details of all the other things we have went through lately — my wife and I are having a tremendous problem today because of something her daughter did with taking our debit card , this took place when my wife’s mother passed away too , I am truly worried about my wife’s health , and her being overwhelmed , the bank had replenished our money , but we’ve had a great deal going on and earlier this morning my wife called and said our account has been depleted , we assume because a police report has to be forth coming , we weren’t warned of anything like this , I just ask that you place our problems on a prayer list or many prayer lists for Nicholas and Bobbi to be able to make quick responses and take care of this matter , I trust in GOD , but I feel we are going through such a tuff situation as JOB did in the Bible , thanks so much for prayer my GOD in Jesus Name help us ! We are often shaken as we do not see our lives as God does. It is often quite difficult for us when going through a trial . God was not surprised but he allows us to make our choices. The Devil hates God and hates mankind because of being created in the image of GOD . We are not animals …God has a special interest in man. As Jesus told us if God has cared for the lilies of the field and sparrows how much more will he take care of US ! We need to be built up in the inner man with the Word which builds faith …as the Word is that ‘incorruptible seed’ which will grow when we water it as well with the water of the Word. It cleanses us of our various anxious ways that this world and living in it among those who are not as yet saved will choose to believe the decietful lies of the devil that are all around. With the Lord you can be assured that HE will provide what you need…If it is a police report that is needed post haste …if it is whatever needs to come from others who NEED to give to you …..God is not a liar and He is not late . We have a struggle sometimes looking at our circumstances so it becomes a difficulty even though we believe we believe. His faith is what we need and His faith comes through His Word planted in our hearts when they have been ‘broken up ‘ as a farmer breaks up fallow ground before he plants. This process is not always understood as such because ‘breaking up the fallow ground ‘ is difficult to endure at times. In your case it is very hard because you have an emotional aspect being it was your daughter involved with the wound. It also has that added stress of being completely in the hand of God in terms of your supply. I know this difficult situation. To continue in faith believing GOD will come through is something that is like adding weights to weight lifting . It seems it is very difficult because it has added to what we have been able to endure and function with before but to build up the muscle the extra amount of weight is added. I think this is how we may endure here with these ‘added weights’ of trouble .I think this is how Joseph endured the treatment of his brothers and others in the OT where he was able to stay faithful through all of the mistreatment by others and still endure with his attitude toward God …believing and acting as he knew he ought to . We are not called to endure over and above what God knows we are able …He does not tempt us but when we are tempted He will provide a way to escape so that we are able to endure while we await the victory. All the while as we wait upon His solutions we search through the Word for comfort and wisdom in how to behave while we await His desired end. Some of the things we see in the Bible indicate that God’s “long view’ of situations have not been known to man as he goes through these . the Devil is NOT equal to nor more powerful than God. All trials for those who are practicing “counting on ‘ GOD are useful for us to tell of His powerful and glorious outcomes . In all of the rotten things in my own life..some self inflicted because I did not know what He would have me do AND SOME because I was stubborn and would not do what I knew was right ..>GOD STILL brought about triumph and those stories are the best in terms of keeping His powerful loving provision and protection in mind. Perhaps you might think about the past victories in your life and perhaps some that you did not really think of as GOd coming to the rescue in your life for His sake …these memories will help you remember God has been always looking out for you despite those times when we did not realize it ! I know you are feeling in a panic but remember God will sustain you ..He will open hearts for your sake ….He will bring about some merciful circumstances as His mercy endures forever. We cannot EARN anything we need from GOD but HE delights to take care of His children and do so with wisdom. I thank Him for your needs being met in ways that really do display HIS having done so for His name sake . Let yourself become delighted in Him and to begin to list off in your mind and in your mouth those wonderful moments HE has been faithful to supply all of your needs more than you could have asked or thought according to His riches in glory. He allows us to be ‘shaken’ us in order for us to learn where we are in need to continue to allow His word to build our faith. He loves you and will continue to teach you through this what you need to know for further incidence that may happen to you or may be for the helping of someone else. IF we want to KNOW God we must allow HIS word to be the first and last word for our lives. I am thankful for your seeking to have His intervention in all that is vexing you. My own life is fraught with the ‘blessing ‘ of trials presently …I do not say this lightly in my exhortation to you …but all trials are in HIS view and He will protect HIS temple and those who are His need not fret about the way things appear to be . The Bible tells us that “God will perfect that which is concerning you’ and I believe that comes through our continuing in His Word and through doing whatever we might understand is OUR responsibility and also trusting HIM with what is HIS ! Ask Him what is YOUR job and thank Him for the ability to carry that out and the trust to allow Him to work in those areas which are NOT yours. That is what I believe is the answer to our various things we are dealing with in this world. Flesh and blood does not inherit the kingdom of GOD but we are to go through the World as testimony to His faithfulness. HE desires to be represented in those who believe in ways that show forth His glory and faithfulness. In everything …give thanks …and cast your care upon HIM for …HE careth FOR YOU! That is a great comfort …HOW He will bring us through is going to be a glorious addition to our testimony is it not???! God Bless the faith you have with growth and strength in trusting Him in all things! By the way…thank you for sharing your need here …One of the principles of the Word is that we are to receive the Word because it is the faithful word of GOD …we are to retain it because it will provide IN us what we need …and we are to release it as that is the healthy way we are designed to grow. Many times people who love the Lord have been led to believe that giving is only in the areas of money …but something far more valuable and unreplaceable is to give your time ….and to give God’s Word . All can do this because when we are alive and we have been in the Word we “HAVE” somewhat to GIVE. If you will continue to share the things of GOD with others this will be useful for your growing faith and it will equip others . Even if they do not receive it YOU will have done what is useful withing you and you will have made the precious life available for those who hear the Word . God delivered Job when he prayed for his friends ….Speaking the Word of God IS LOVE despite what others may or may not receive. I thank you for giving me the opportunity to share the things that God’s Word laid upon my heart …It helps to take the focus off our own troubles and to broadcast the truth which is powerful to the saving of the soul …if so …then how powerful is that Word to help us endure and overcome whatever we are presently going through! I think we often simply want to have the control over WHEN and HOW things get worked out …like the guy Jesus put spit and mud on his eyes and then told him to go wash in a river the man did not want to go into ….His servant reasoned with him and said …Hey ….what difference is it where you wash…If Jesus told you to wash in the Jordan ..and by doing so you receive your sight …why NOT! Sometimes our deliverance comes in a way we do not expect. I try to remember this as I await the deliverance our family needs. There are no ‘mountains’ that GOD is not able to ‘remove and cast into the sea’ as we are willing to do what WE are able to do . IF we are faithful in those things which are ‘little’ HE will enable us in things that are ‘great’ ….We need to start somewhere in trusting Him….and no better time or place like the present. May you find yourself in a state of anticipation of a great reconciliation of all that has been lost or stolen in your heart, mind, soul and life. Or like Job …despite those things lost may whatever is restored be added unto you with the best “addition”…the testimony of HOW GOD took care of your needs and brought Glory to HIMSELF! wanted to say quickly , will read all above on break , but I seen something earlier tonight that was such a reassurance of GOD working in this before I left for work , I started to say remember when you tell a lie ….. and before I could finish the daughter says you have to add another and another to it , and I knew then that HE know’s so much more , GOD , in the name of Jesus , thank-you , a million times and more thank-you !! I seen Jesus in Lindsey more than I ever have , all the prayers to GOD be the glory !!!! Grateful to see you having some things encouraging for you . May the Lord open the eyes and heart more and more of deal Lindsey to know the wisdom of heeding the Word of the Lord and to honor her father and mother that she may live long on the earth and it may go well with her. AND that your financial burdens may be met with and overflowing testimony of God’s faithful care over each and every aspect of your lives. !He is our GOOD SHEPHERD INDEED!